High quality apertures, specially designed for use in scanning and transmission electron microscopes (SEM, FESEM and TEM), Microprobe systems, Focused Ion Beam (FIB) and X-ray systems. Made with high precision drilled holes and with optimized shape to avoid scattering. The apertures are made to tight tolerances conforming original equipment manufacturers designs, pre-cleaned and individually packed. 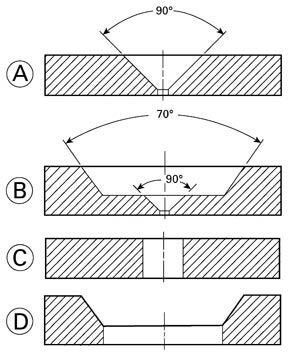 The apertures are either used as spray apertures in electron beam columns, limiting apertures or final apertures for objective lenses equipped with an aperture changer. Available in Pt/Ir (95:5%), Mo and Au (for some apertures). The Pt/Ir apertures can be cleaned using aperture flaming or heating devices. Molybdenum apertures stored at atmospheric conditions will oxidize rapidly, we can only guarantee Mo apertures for 4-6 weeks after delivery. The smallest hole for Pt/Ir apertures is 5µm, for Mo apertures it is 10µm. Apertures are available for all current brands of EM system manufacturers: FEI/Philips, JEOL, Hitachi, ZEISS/LEO, Cameca, Topcon, Tescan. We also carry aperture sizes used for brands which are no longer manufactured but still in use: ISI/ABT, CamScan, Cambridge Instruments/Leica, Siemens, BalScan, ETEC/Autoscan, SEMCO/ZEISS Novascan and Nanolab. Please see design and specifications below the selection table. The design of the apertures depends on the size of the aperture holes and the thickness of the material.